Love Wisdom Motherhood conversations with inspiring women, is mum, journalist and author, Jessica Rowe's beautiful new book. The book includes 11 extraordinary women, sharing the good, bad and very honest sides of being a mother. I laughed, cried and totally understood all the mothers in this amazing book. "It's my hope that, by sharing these stories, I can help all mothers to better understand their journey. If you're grappling with the same feelings that I and many, many others have had, you're not alone, When you read these stories, you will realise that we are all bound by a shared experience- the experience of motherhood." This week we have had the pleasure of asking Jessica about her book and motherhood in general. First, that question that everyone seems to be asking these days "Can we have it all?" "It depends what your definition is of having it all. And I think as mums we all put too much pressure on ourselves. Personally, I've found that you can have it all, but not at the same time..... Something has to give." Jessica said she has "learnt so much from the inspiring mums I spoke to for my book. And boy am I still learning.... It helped me realise that regardless of who you are, what you do, we all have moments of guilt, not coping, exhaustion and times when the wheels do fall off. It's important to be gentle on yourself. Being a mum is the best, but also the hardest thing I have ever done... and I still struggle with giving myself a break!" Letting the little things go for the good of the bigger picture is something we all have to do at some point. Jessica said "my house is frequently messy, the girls will get baked beans for dinner and I've packed my high heel shoes away for a while. Not the safest thing to be wearing when you're chasing a tearaway toddler." And Jessica's favourite thing about being a mum? "The joy and love that I get from my beautiful girls. I have a blast charging around the background being fairies." This inspirational book is a must for all mums and is available now in bookstores and online. We have a copy of Love Wisdom Motherhood to give away, just leave a comment below telling us who or what inspires you as a mum and why. Entries close Friday 4th November 2011 at 5pm. 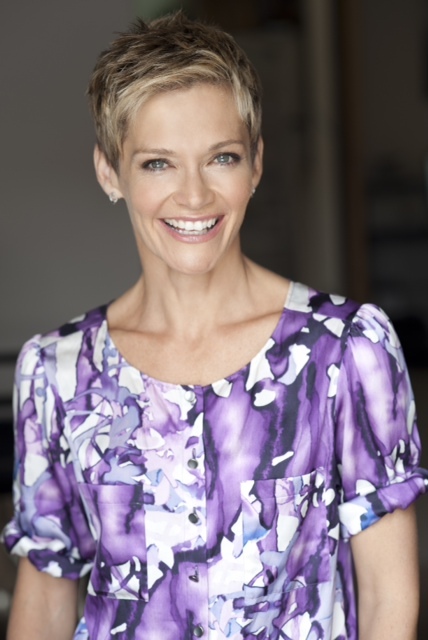 Look@MyBaby would like to give a big thank you to Jessica Rowe for sharing Love Wisdom Motherhood with us, we love it. My Mum inspired me. I am one of eight, and she would have related well to Jessica's comments. I have two children of my own, and I now know first hand, what trials and tribulations that face a mother everyday. And yes, I agree, you can have it all, but not all the time. as they say, 'slowly, slowly catch a mouse'. If I was only ever 'just a mother' that would make me happy, but everyone at some time wants more. My daughter inspires me as I watch her being mother to her 3 kids- teen daughters (15&13) son (with ASD) 11, and she is knowing and loving with them & "gets" her kids' needs & helps them to achieve independence. She is step mum to a boy 7&girl 9 too & has taken the time & patience coupled with love to have those children feel part of a blended family. But my latest & best reason for my daughter's nomination is that at 40 she's found out that she is expecting a baby.. To her fiancé & her family will include - hers his ours ! I would love to win this book to give her to remind her about the little things in life too! Thank you everyone for your comments. We will be sending a copy of Love Wisdom Motherhood, by Jessica Rowe to Denwise. I wish we had a copy for everyone. You are all inspiring mums.